Who doesn’t love those cheeky little Minions. Kids and adults alike get a grin on their face when they hear or see them….even if we’ve heard the word “bottom” over 100 times in one day! 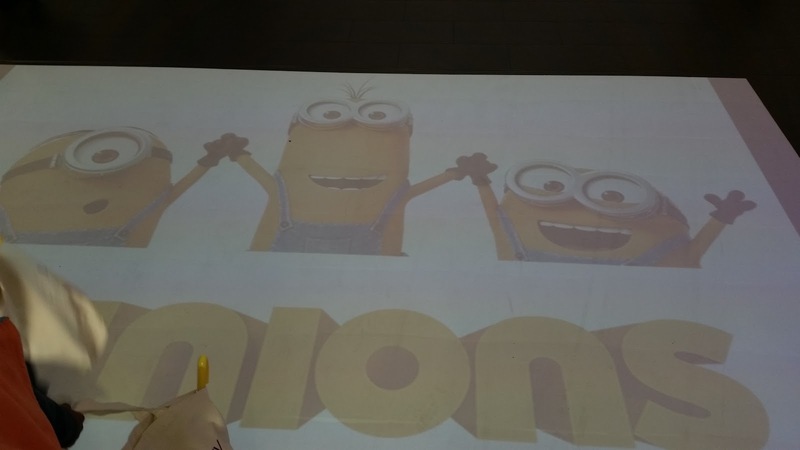 The Minions movie (the Minions first ever movie, featuring…….themselves!) is being launched on BT Store on Monday 2nd November. To celebrate this, we were invited to an exclusive showing of the Movie at the amazing and iconic BT Tower. Not only did we get to experience the BT Tower and watch the movie, but we got to meet the main stars of the movie, Stuart, Kevin and Bob. 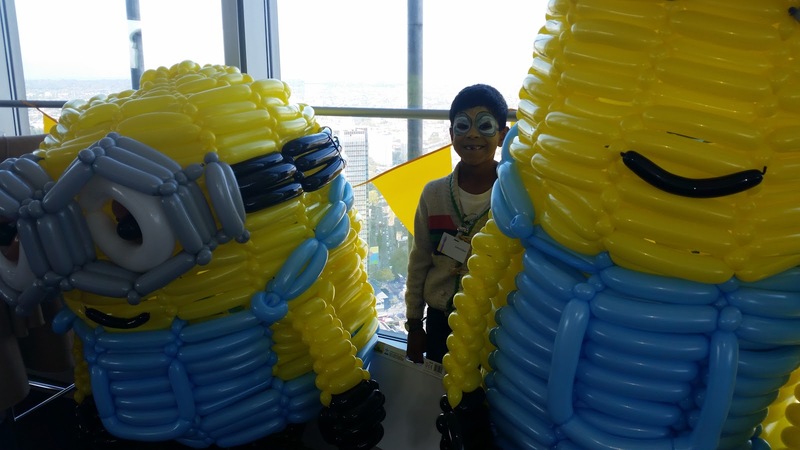 On top of watching the movie we were treated to the red carpet by face painting experts, balloon modelling, wonderful food and amazing views from the top of the BT Tower. The Minions movie is a great family fun movie. It takes you on a journey on how the Minions live. The simply want to serve evil villains, that’s all they wish. They find themselves working for a number of failed villains, all failing to live up to their dreams of being the biggest villain master, so the Minions move on the next, and the next. The Minions fall into a depression as they can’t find a villain worthy of serving. So, one Minion, Kevin, decides to go on a journey to find their new boss. He enlists Stuart and Bob and the three of them set off to find that one true master (or mistress!). The movie has a great cast and is really fun to watch. The stars include Sandra Bullock, Jennifer Saunders and Steve Coogan and, of course, Steve Carell. The Minions movie is launched on BT Store on Monday 2nd November. If you haven’t seen it, we really recommend it. If you have seen…..watch it again….it’s really worth it. Disclaimer: I was invited to this event, and was not influenced to write this post.